Did you know your body is around 60 percent water? No wonder staying hydrated is so important. Water keeps us looking and feeling healthy — both inside and out. But, clean and pure water is not always readily available. Many refrigerators today have built-in water filters, but the reality is that most apartment fridges won’t. To supplement, many get some type of water filter. There are endless options, so we’ve done some research into the best. We’re listing this one first because it doesn’t really fall into the category of other water filters on the market today. The APEX Countertop Drinking Water Filter connects easily to a kitchen faucet. The unit sits on the countertop but is pretty inconspicuous overall. Water is dispensed from a built-in spout. At around $90, this unit falls somewhere in the middle of the range of affordability. Plus, all of the necessary hardware for installation is included. Another common type of water filtration system for apartments is the faucet-mounted type. The PUR PFM400H is one of the best water filters, as far as faucet-mounted goes. PUR claims that this filter system reduces lead, chlorine, pesticides and mercury in your drinking water pretty efficiently. A feature that’s unique to this unit is the “CleanSense Monitor.” This is a lighted display that shows when your filter is nearing the time for a replacement. This is another faucet-mounted water filter but it definitely deserves a spot on this list. As far as water filters go, this one is one of the easiest to install. The system boasts an extremely simple “one-click” install. Plus, the price is so reasonable — under $25. 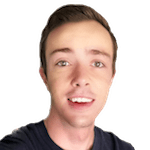 This filter isn’t unimpressive, however. 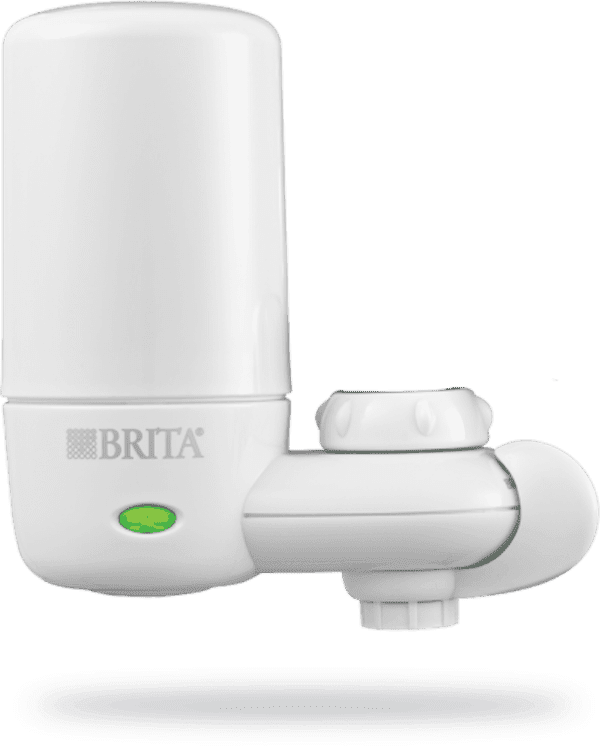 The Brita On-Tap system reportedly removes 99 percent of lead from water and a single filter can filter 100 gallons of water. A pitcher filtration system is limited in comparison to other filtration setups but is great for saving space. Pitchers only hold a certain volume of water at a time and are not always effective at removing harmful particles from the water. If you do choose a water filter pitcher for your home, you should choose a high-quality one. The Soma sustainable pitcher is our obvious choice. This pitcher is not only stunning to look at, but it’s also actually totally eco-friendly. 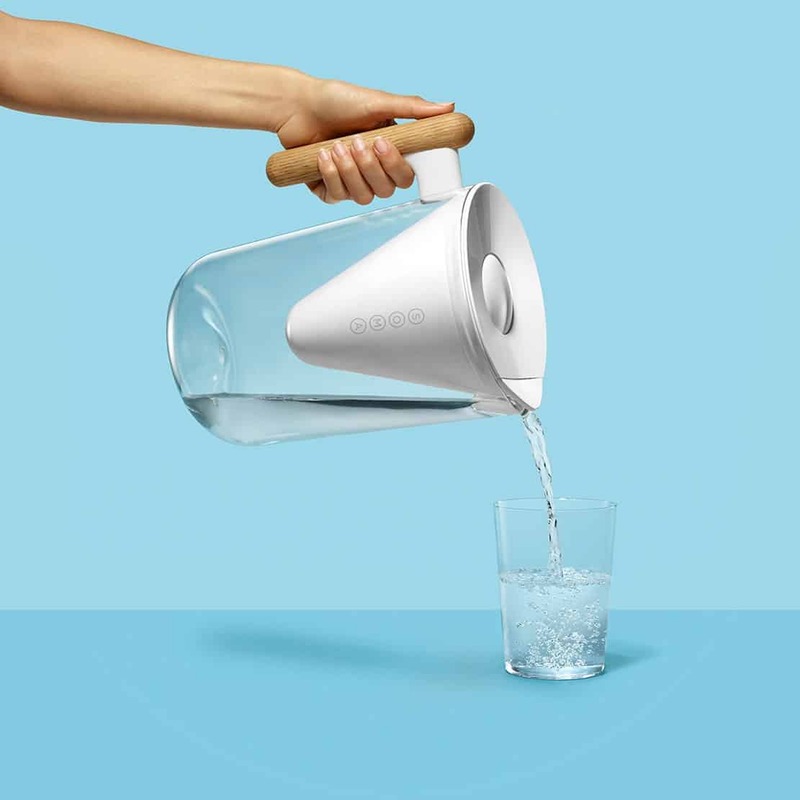 The 10-glass capacity pitcher is made of BPA-free plastic, the handle is made from sustainable white oak and the filters are plant-based — utilizing carbon derived from coconut shells. Charcoal sticks are another great space-saving option. If you’re looking for the best water filters but don’t have space for a bulky pitcher or built-in system, consider buying a couple of charcoal sticks. 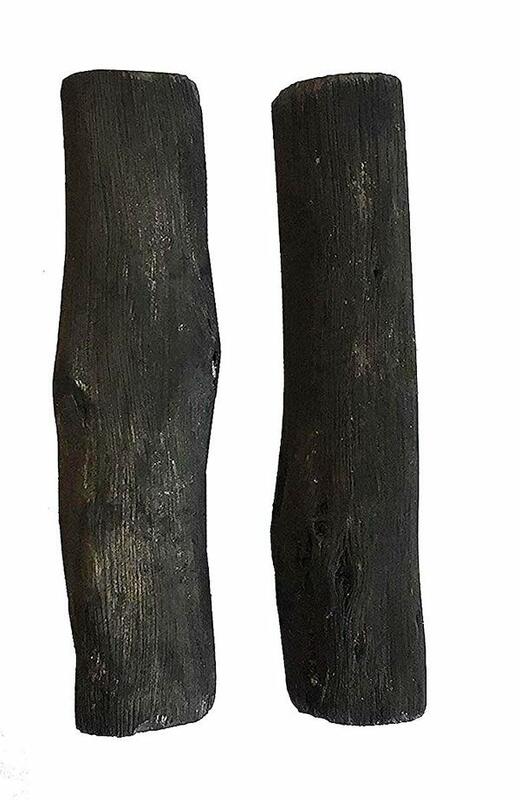 Charcoal sticks can be added to any container you already use for water. The sticks float loose in the pitcher but remove toxins in the same way the previously listed filters do. A single charcoal stick lasts for about four months in a 1 to 2-quart container, meaning this option is perfect for a 1 to 2 person household. If you’re more worried about having fresh water on the go, a water filtration water bottle might be for you. 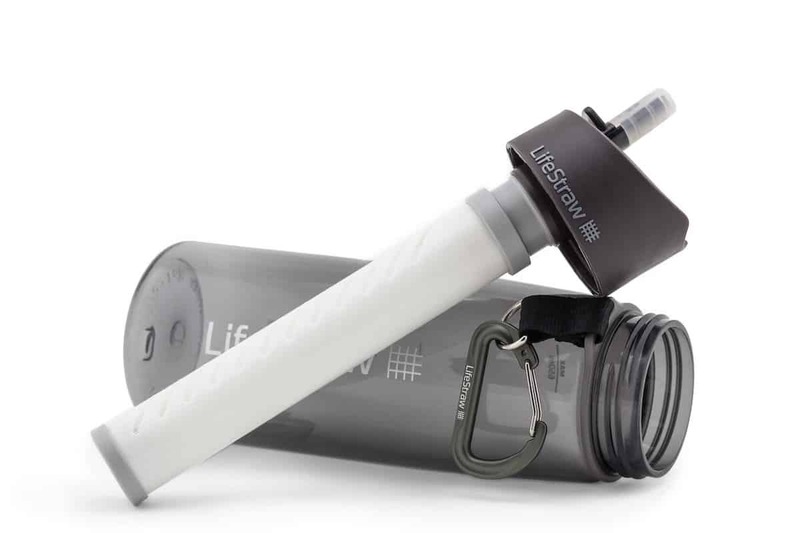 The LifeStraw Go Filtered water bottle lets you get water from any source without the worry of what contaminants might be present. Tap water from the office, school water fountain or any source of water can easily be converted to fresh, potable water. The two-stage filter reportedly removes 99.9999 percent of waterborne bacteria.